Hire the right Dallas Plumbing Company. Plumbing contractors in Dallas can help you out with a vast variety of different services. You can hire different contractors that are experienced in fields like removing clogs, installing sinks or repairing pipes among other points. 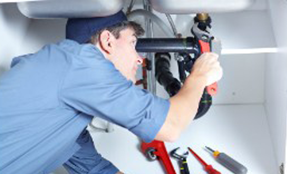 Check carefully to see that any plumber you wish to hire understands the ins and outs of the task you need help with. You must ensure that your contractor is properly insured. This means that you will not be at risk of losing money for any damages that occur during the plumbing repair or maintenance process. The plumber should have insurance to bear the risk and cost that comes with taking care of many things in the plumbing process. You should talk with any plumber of interest to you about how a plan will work. This includes a look at the individual steps that will be used, the materials required for the job and so forth. A clearly thought out plan must be organized and prepared by your contractor. Any plans that entail a sensible series of steps and ideas for the task at hand are always welcome. This shows that there is a sense of control over your project and that there will be nothing wrong coming out of the contractor’s services when used right. An estimate may also help you out. You can get information on how much money it will cost for you to use a service provided to you. A qualified contractor will especially offer a sensible plan for charging you without being too complicated or otherwise hard to handle. The process of cleaning may be critical to the success of a plumbing project. Your plumbing contractor must work in a secure and sanitary fashion. This is to see that your project will be easy to handle without being too rough in some way. When used right, you will get enough clean water without having any issues in hand. Plumbing contractors in Dallas will help you out quite a bit if you hire the right people. Make sure you ask proper contractors for help so you will get the most out of your repair or maintenance needs without any hassles or other problems in some sense. This entry was posted in Uncategorized by Whit Kinser. Bookmark the permalink.